The first wrap in Lindavia collection. The warp is a blend of cotton / hemp yarn, hand-dyed with snow, in 8/2. 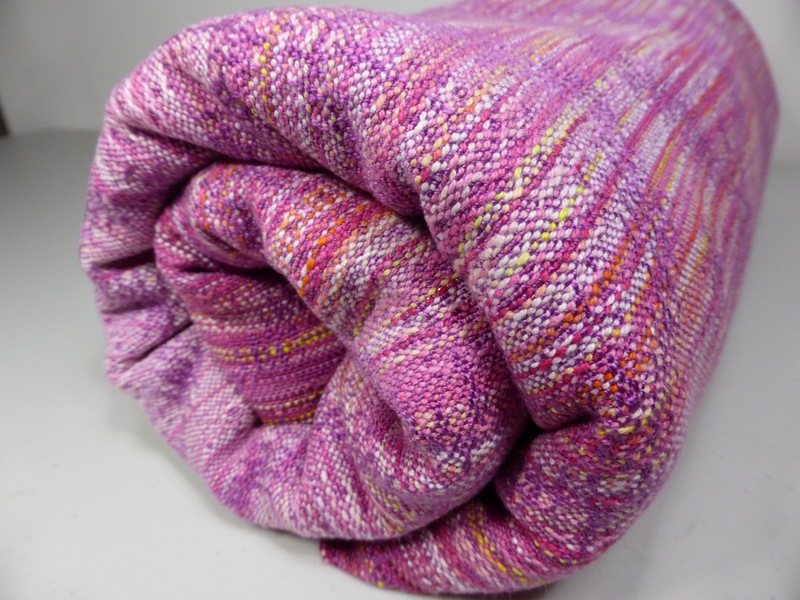 The weft is 8/2 magenta tencel. Crackle weave, 320 GSM. Lindavia collection, wrap #2. 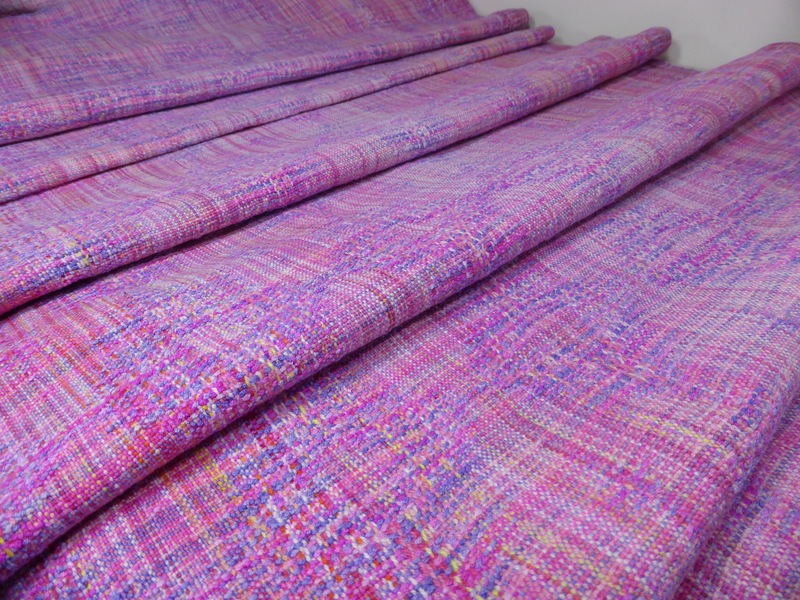 The weft is hand-dyed Mulberry spun silk. Crackle weave, 370 GSM. 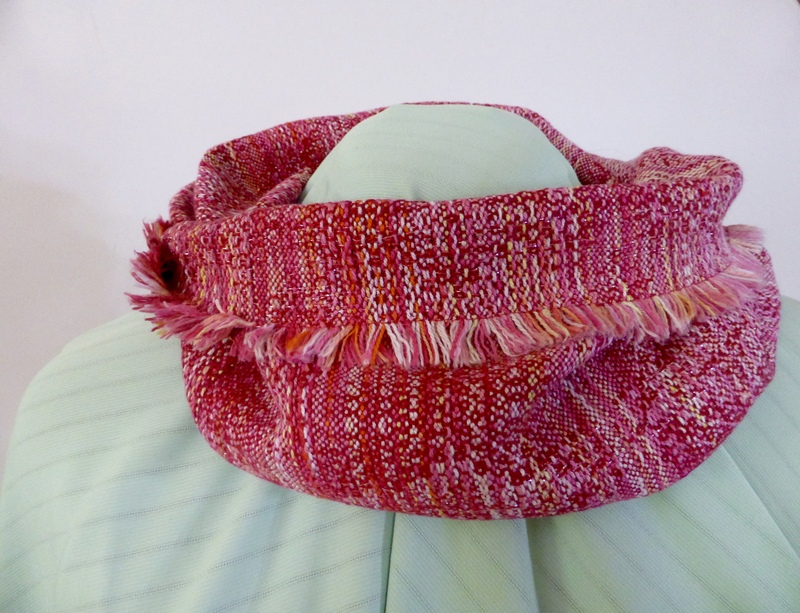 Lindavia collection, piece #3 for a ring sling. Crackle weave and tencel weft. 325 GSM. Lindavia collection, piece #4 for a ring sling. 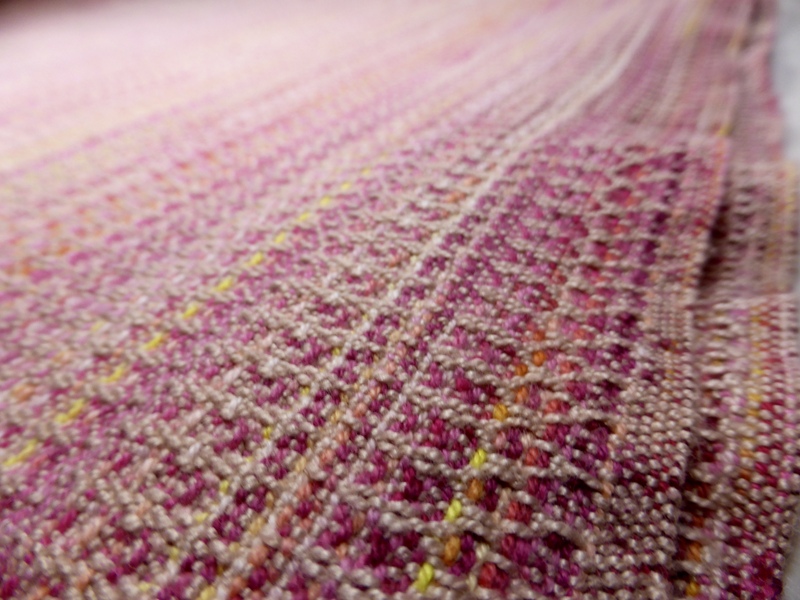 Hand-dyed Mulberry silk, woven in crackle weave. 310 GSM. Lindavia collection, wrap #5. 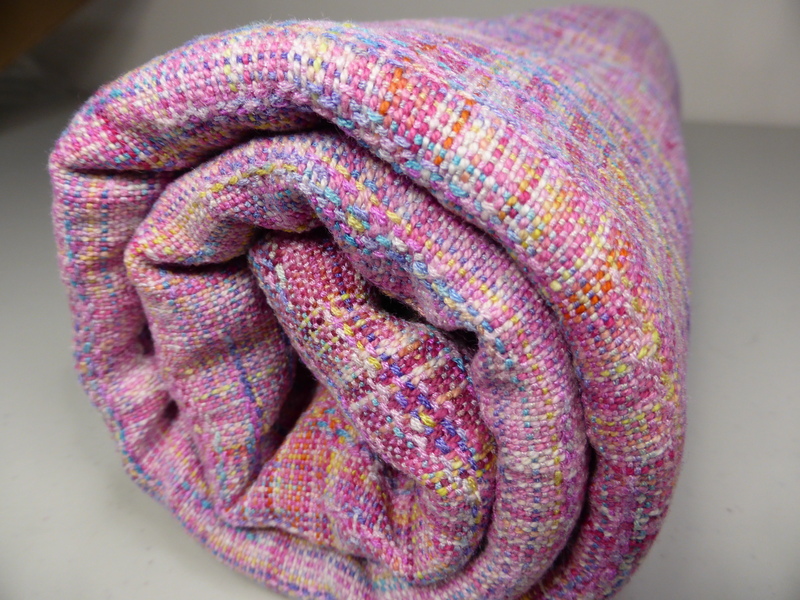 Mercerized cotton as weft and very crackle weave. 375 GSM. Lindavia collection, piece #6, an infinity scarf. 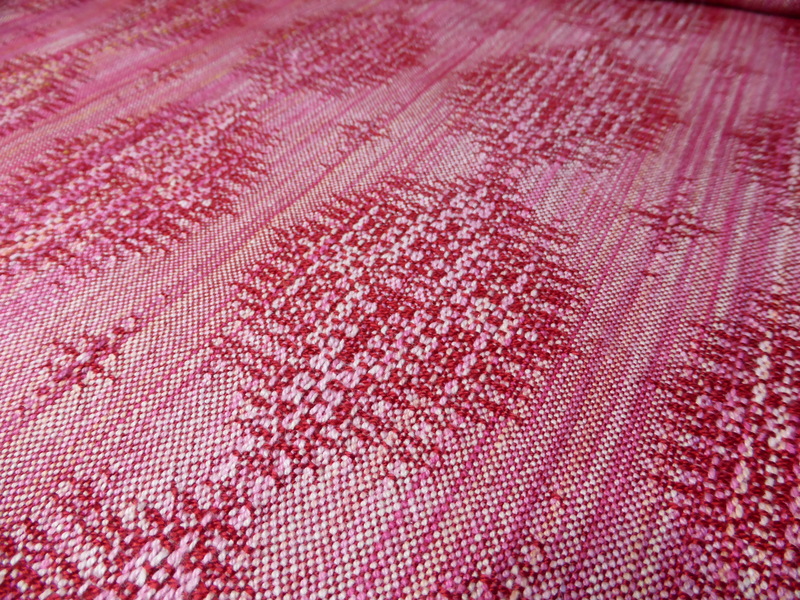 Weft: Cerise tencel; weave: crackle.